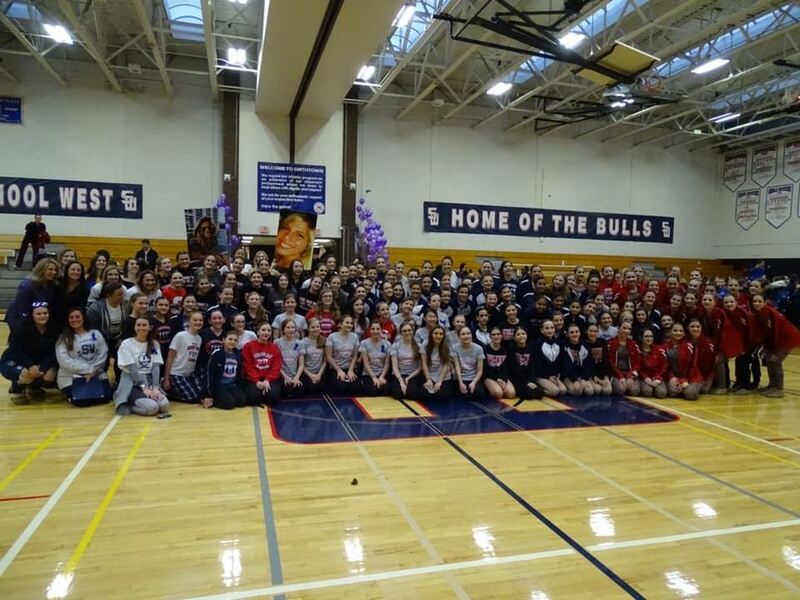 On Jan. 26, the fourth annual Stephanie Belli Dance Team Festival was held at Smithtown High School West. Stephanie was one of four Smithtown Central School District alumnae who were tragically killed in an accident in 2015. Stephanie was also a former Smithtown West Whisperette. As a way to keep her memory alive, the Whisperettes, along with her family, have set up two scholarships, which are funded through the annual festival. This year, more than 700 dancers participated from across the tri-state area from middle schools, high schools, and colleges.